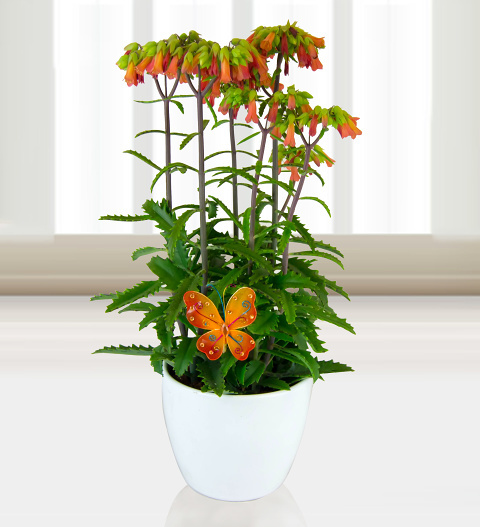 This Kalanchoe plant, also commonly called Lucky Bells, are naturally beautiful. This long lasting plant is easy to care for flowering throughout the Summer and Winter months. We have gift wrapped this plant to make a wonderful surprise. Each is presented in a ceramic pot with a decorative butterfly and FREE box of chocolates.